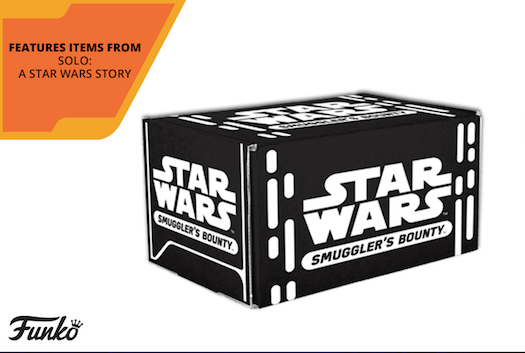 Home News The next Smuggler’s Bounty Box Theme to be Solo! Funko has released the theme for the next Smuggler’s Bounty Box. The next box is set to be released in May and will feature an Solo theme just in time for the movie. Be sure to visit Smugglersbounty.com and sign up today! Previous articleNew Walmart Exclusive Overwatch 2PK- 6 inch D.Va & Meka (Blueberry) Pop! Vinyl Available Online! Next articleNew One Piece Mystery Minis to be released this Summer!